Alesis designed the Coda Digital Piano Series to have it all: great sound, a full-size 88-key keyboard and complete control over virtual instrument software and plugins. 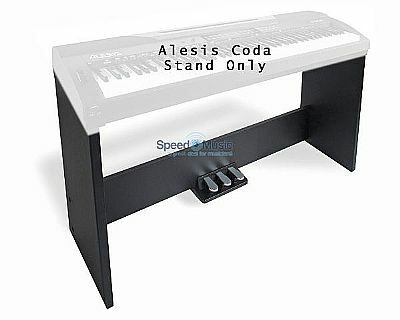 Alesis Coda Digital Piano Stand (ONLY). NB. New from NAMM: this piano stand is NOT available until April 2015.